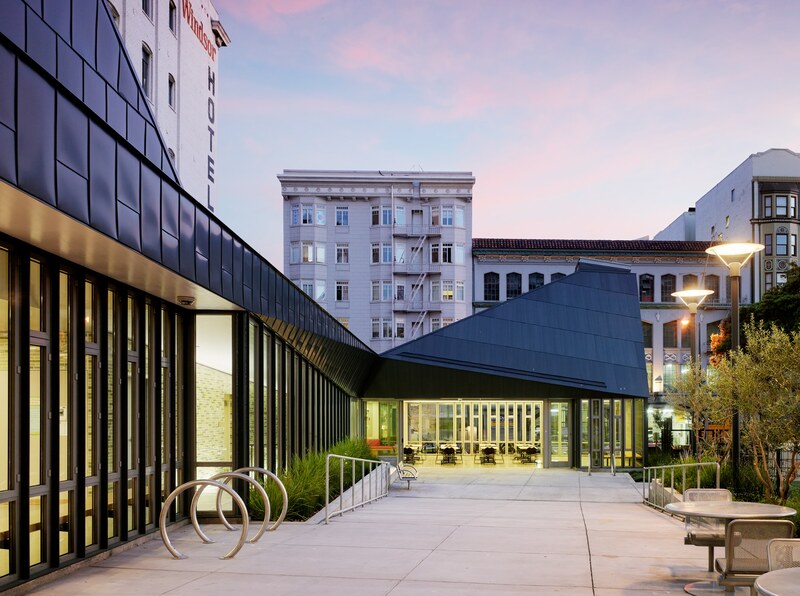 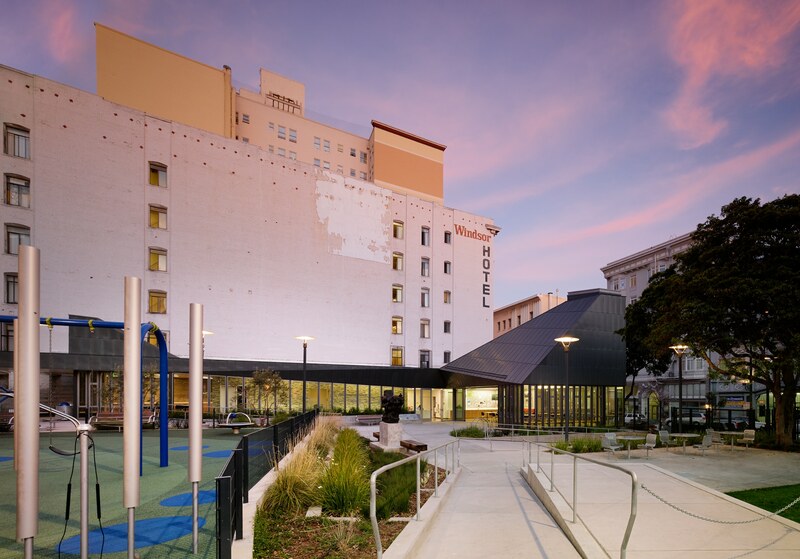 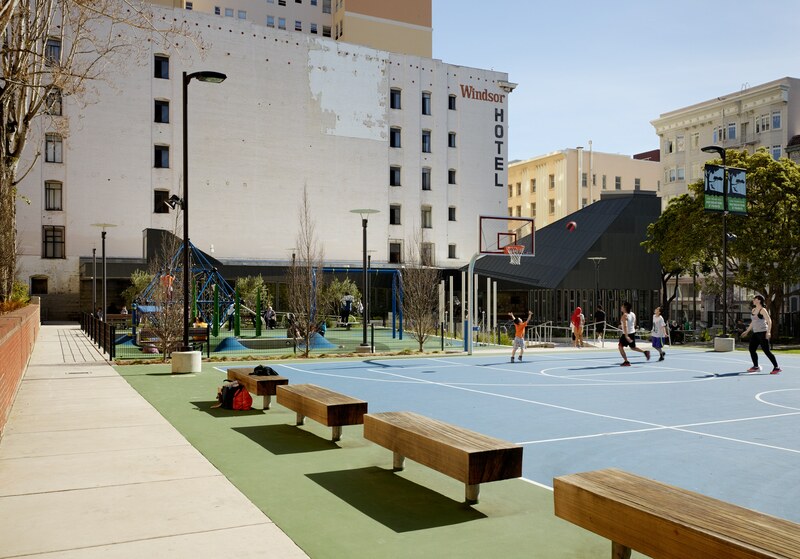 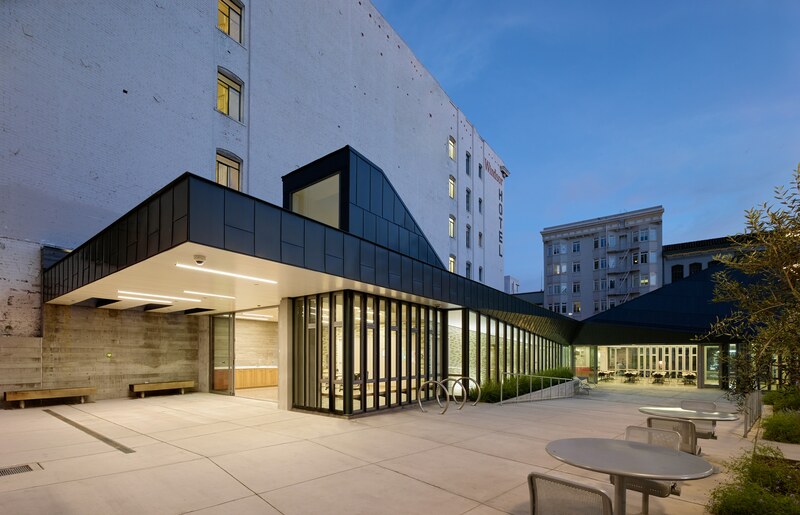 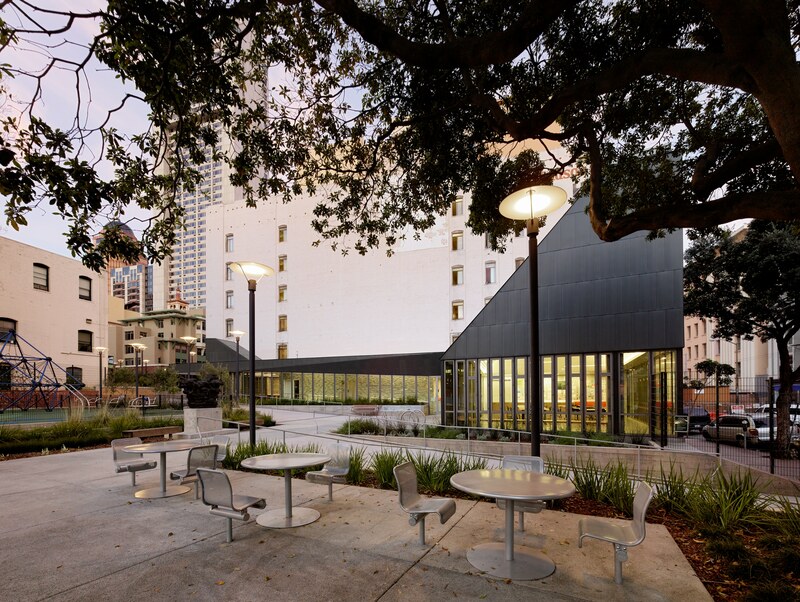 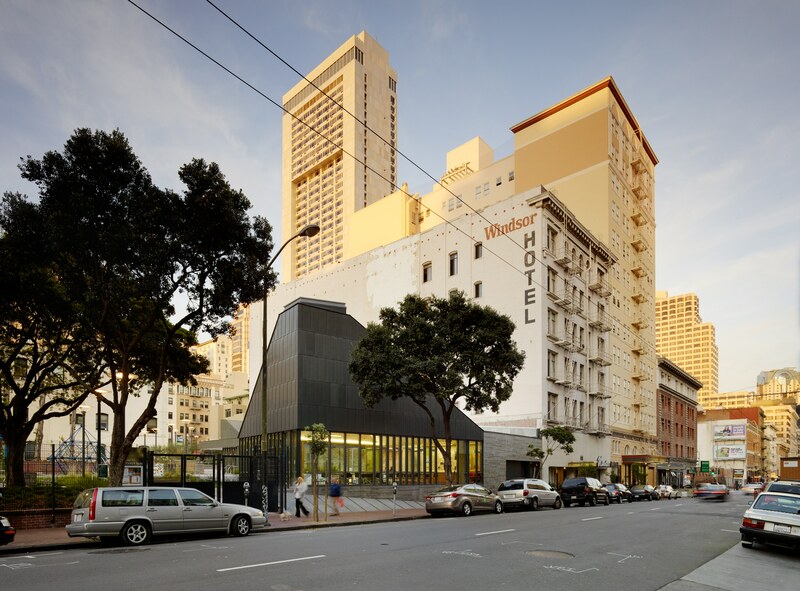 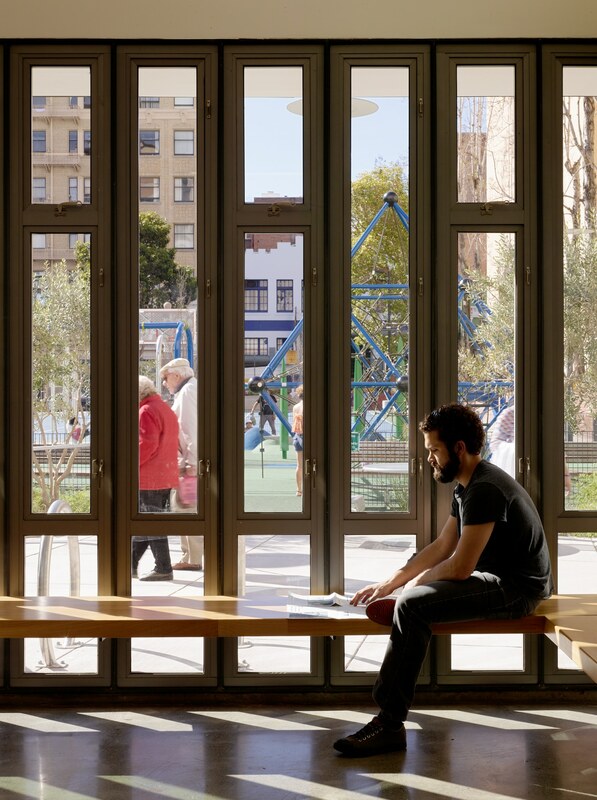 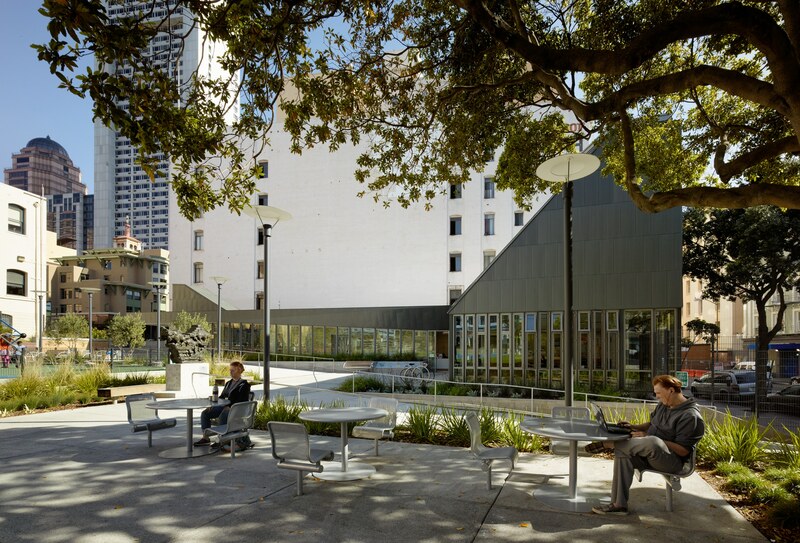 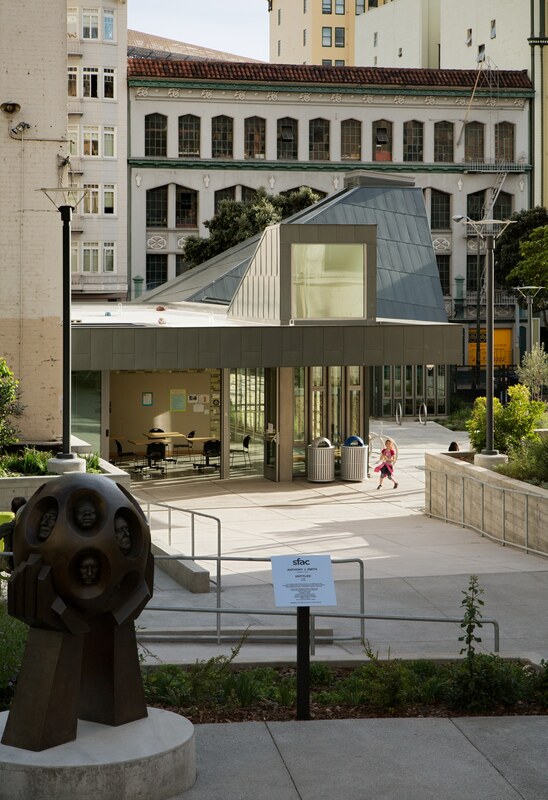 The redevelopment of this one-acre park and clubhouse building in the heart of San Francisco’s Tenderloin district is part of a local program for improvements to several parks in some of the more vital but lower income neighborhoods of San Francisco. 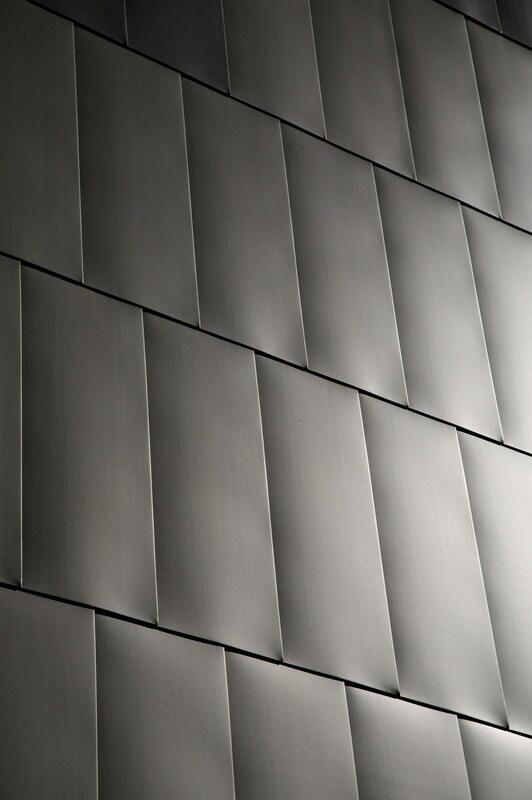 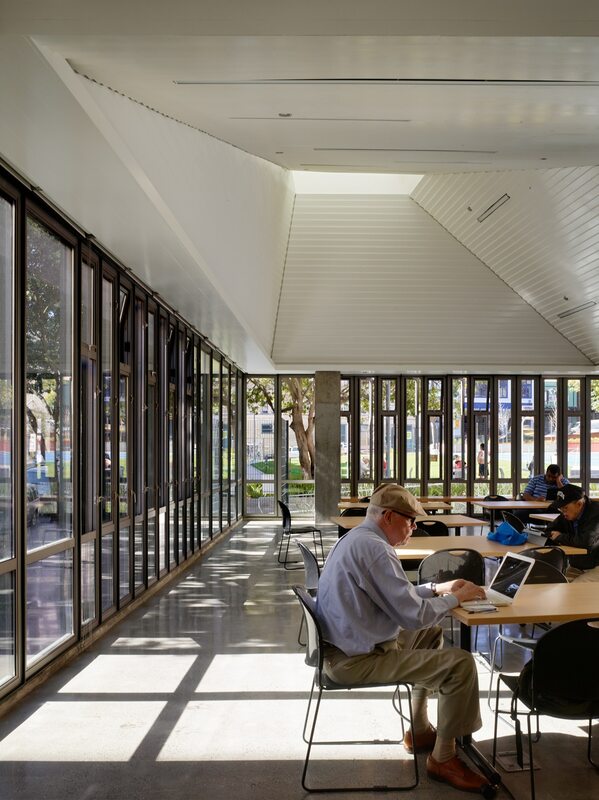 The seemingly unobscured building transparency belies an unconventional lateral force resisting system. 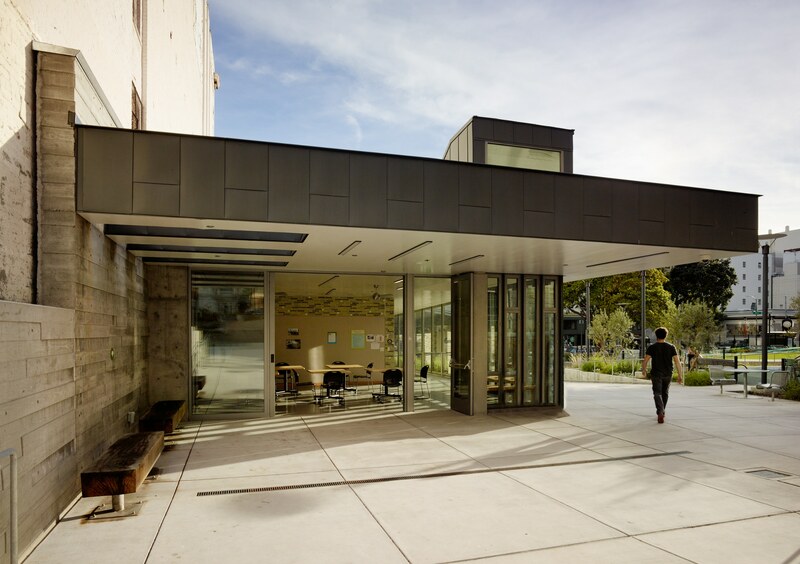 Only two concrete-encased steel columns provide both gravity and lateral support at the recreation wing allowing full height glazing along the entire length of three recreation wing exterior elevations. 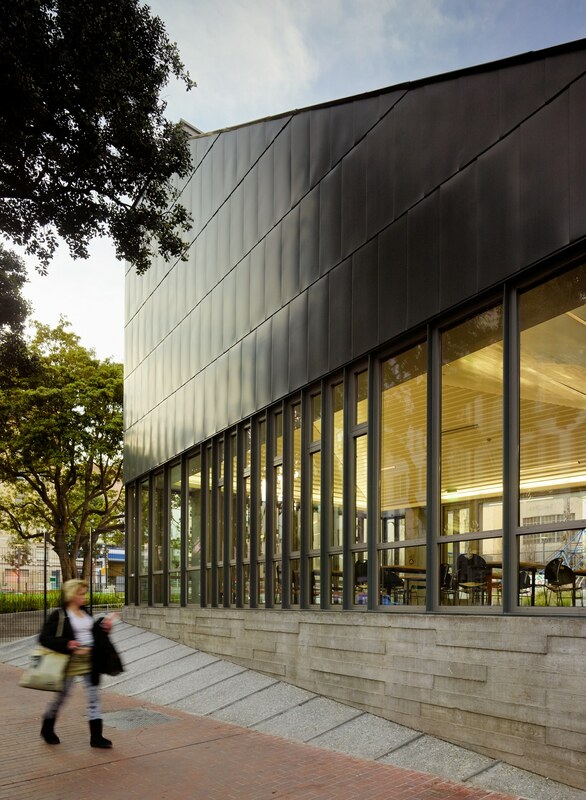 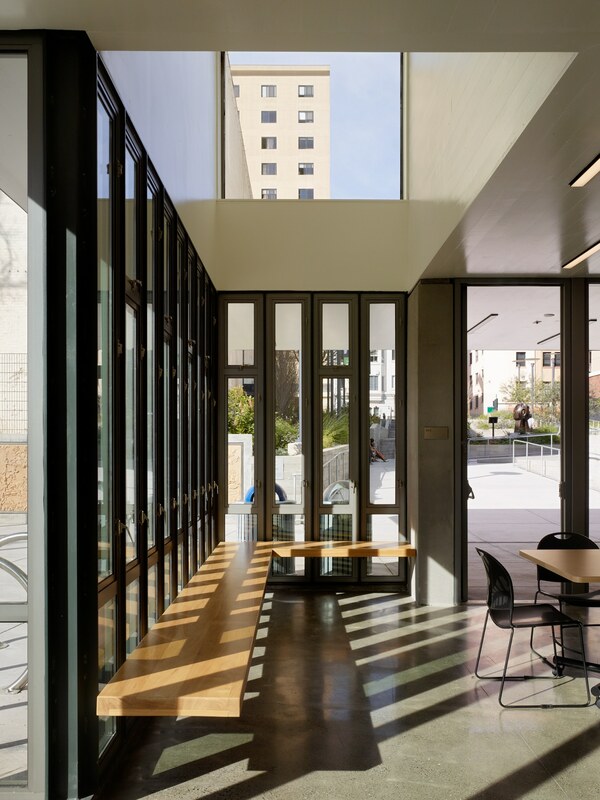 Similarly, the openness at the north end of the building is achieved through the use of an exposed board formed concrete wall along the eastern edge of the site, which is unexpectedly designed to resist seismic forces in all directions of loading. 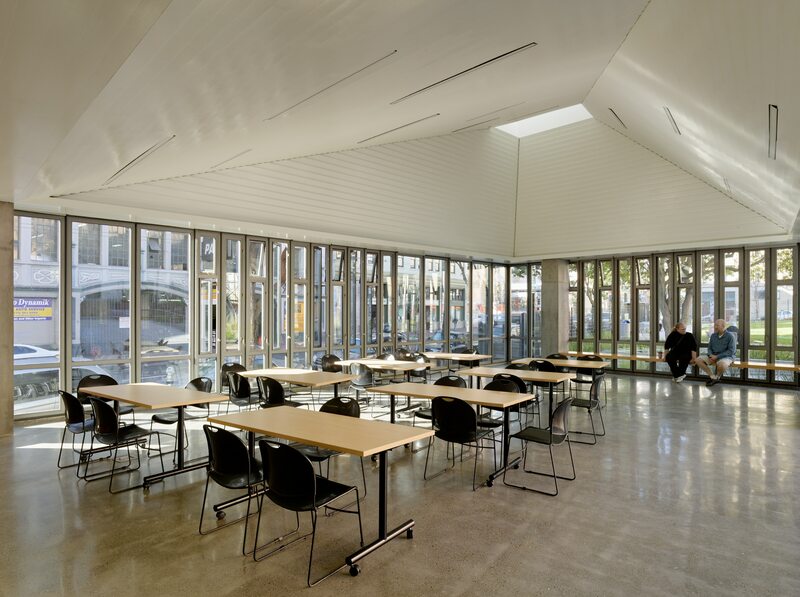 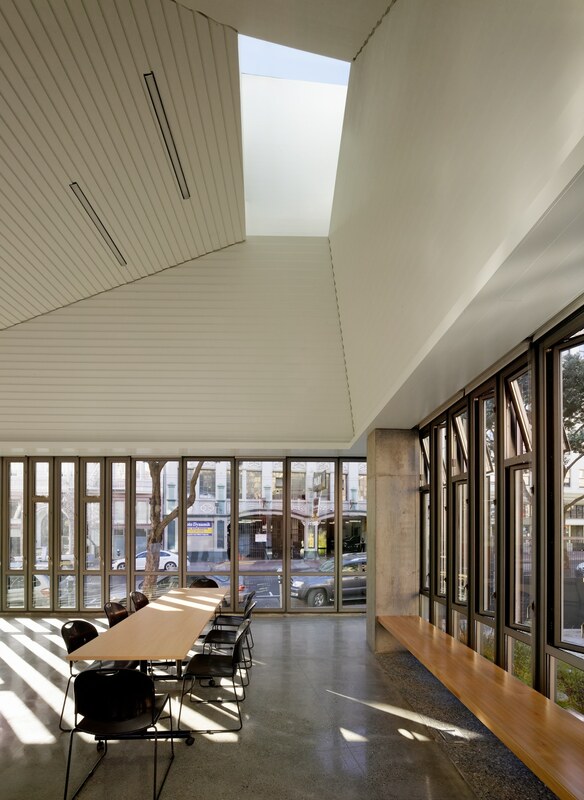 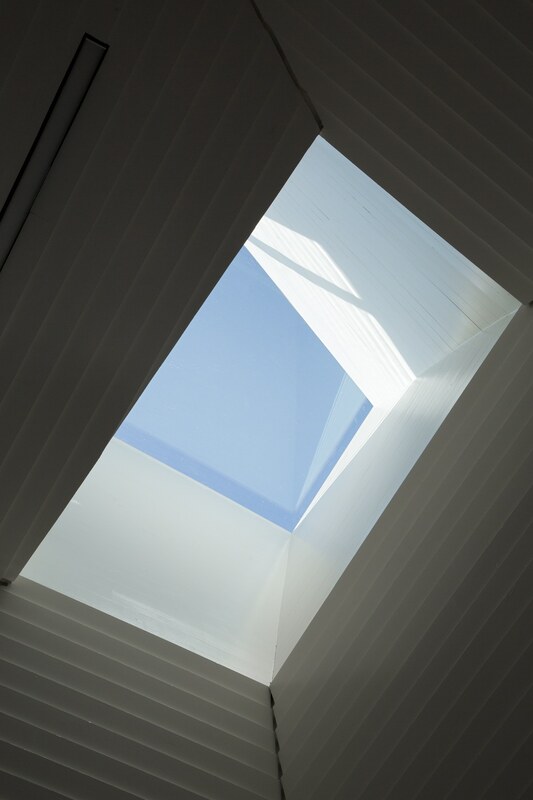 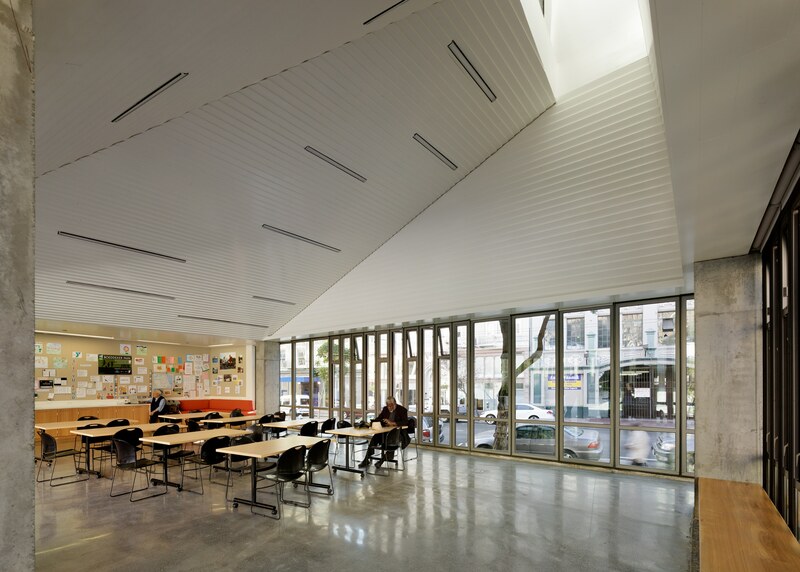 To frame the distinctively shaped recreation room roof and ceiling, the steel hip beam is splayed near the peak as it transitions into two smaller steel beams to frame around the rooftop skylight. 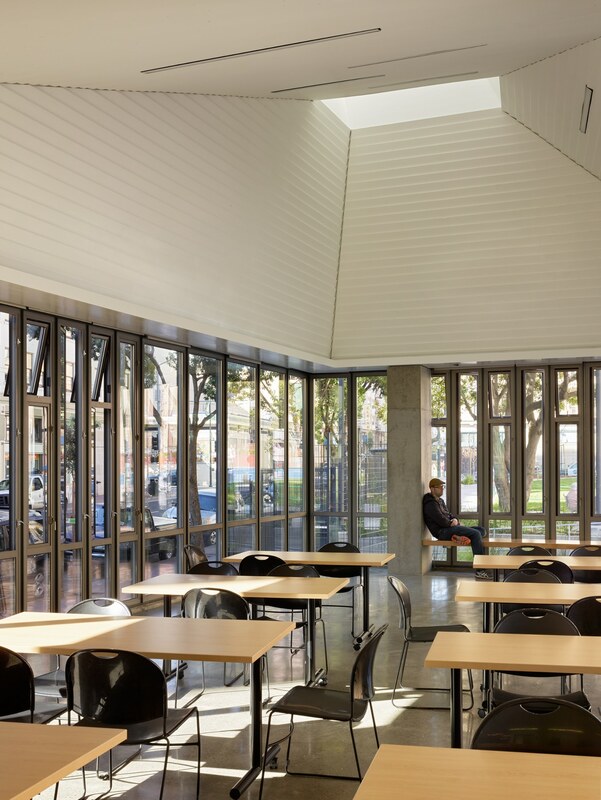 Used BIM to capture and detail the ever evolving configuration of the roof and ceiling framing within the recreation wing. 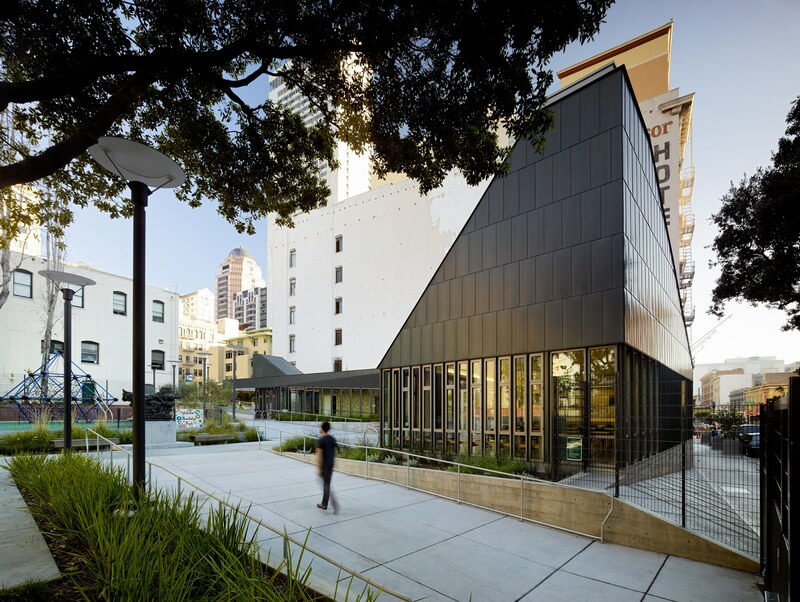 2016 Excellence in Structural Engineering Award of Merit in "New Construction"